This Hampton hotel offers free shuttle services to Cleveland-Hopkins International Airport, which is 4 miles away. An indoor pool is featured on site. Guest rooms with flat-screen cable TV and free Wi-Fi are available. Guest rooms at the Hampton Inn & Suites Cleveland-Airport/Middleburg Heights provide a microwave, refrigerator and coffee facilities. Select rooms boast a whirlpool tub. A well equipped gym is available at the hotel. The hotel also offers a 24-hour business center with fax and photocopying services. 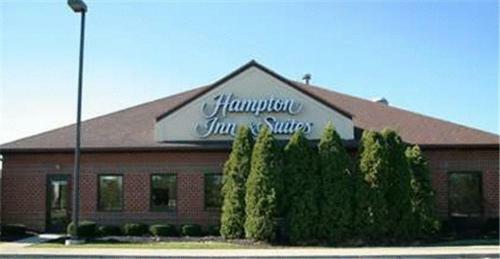 Cleveland-Airport Hampton Inn & Suites Middleburg Heights is located off Interstate 71. Baldwin-Wallace College is 1.5 miles away. the hotel Hampton Inn & Suites Cleveland-Airport/Middleburg Heights so we can give you detailed rates for the rooms in the desired period.